The brand-new LN-NVM5-HR is the latest statement in consumer night vision providing unmatched (for a 5x image magnification) 15 degrees Field of View – ideal for quick field scan and object acquisition. Fresh and futuristic design fits comfortably in one hand with ambidextrous grip and conveniently placed one-touch controls. The light indicators are on the top of the unit, eliminating unwanted glare in your eyes when viewing in the dark. 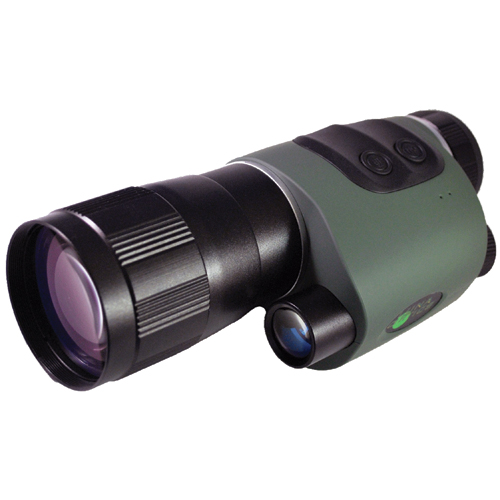 Improved ocular utilizes proven quality 5-element glass system for absolute minimum distortion while providing full field of view. 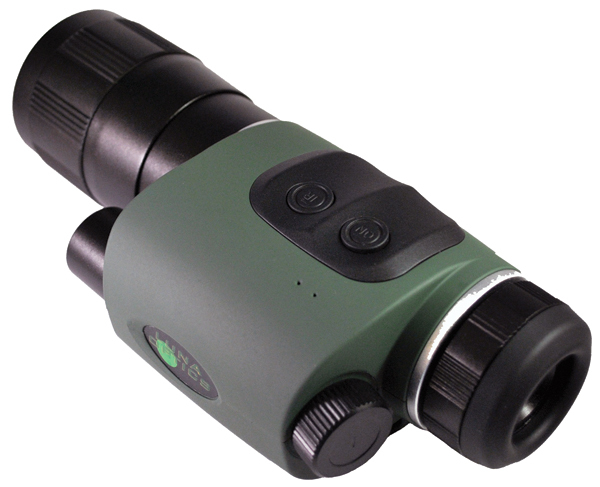 Precision 5x magnification brings objects closer to your eye and top-quality HR objective lens, multicoated specifically for best light transmission provide vivid and sharp images. Built-in powerful IR illuminator shines a bright infrared beam with effective viewing distance of up to 100m in total darkness. Waterproof design allows use in inclement weather. Unit features built-in tripod mount for comfortable viewing over extended periods of time.